He was former Chief Whip of the Liberal Party and a former Deputy Leader of the Liberal Party and the Liberal Democrats (1992-2002). He is also Vice Chair of the All-Party Parliamentary Group for the UK Aluminium Industry run by the Aluminium Federation. He was educated at Nuffield and Balliol colleges, Oxford University and went on to be a Politics lecturer before becoming MP. He is now married to Baroness Maddock (formerly Diana Maddock, Liberal Democrat MP for Christchurch, 1993-1997). He has held a wide range of posts within the Liberal Democrats' Parliamentary Party. Was Northern Ireland Spokesman from 1974 to 1976 and again in 1982. Between 1977 and 1983 covered the Education and Fisheries portfolios and from 1985 to 1987 was Foreign Affairs Spokesman, before taking on the Treasury portfolio which he held until 1994. 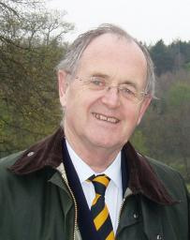 From 1994 to 1999 Alan Beith was the Liberal Democrats' Home Affairs Spokesman. ↑ BBC News Sir Alan Beith MP to step down after 40 years, 7 August 2013, accessed 11 May 2015. ↑ BBC News Berwick-upon-Tweed, accessed 11 May 2015. This page was last modified on 11 May 2015, at 10:12.